MEMPHIS, Tenn. (WREG) – It was the pursuit of a better life that led Benjamin Bermudez to this country from Mexico 15 years ago. But the restaurant worker and father never imagined that life would include being robbed and humiliated in his own East Memphis driveway by an armed robber. "I feel like I don't have nothing. I have to start from the beginning," Bermudez said. 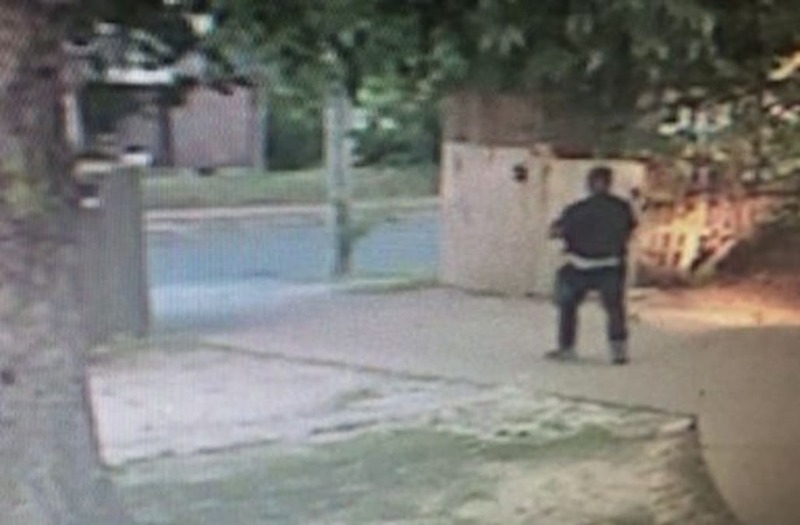 Surveillance footage shot around 6:30 p.m. Wednesday shows the thief running up Bermudez's driveway on Robin Hood Lane while Bermudez is sitting in his truck. "(He) came and knocked the window with the gun," Bermudez said. Bermudez said he had just returned from a gas station to send money back to his family and thinks he might have been followed. The thief demands a check Bermudez said he didn't have and then ordered Bermudez to drop his pants. "What is it about the pants? Why would you take his pants?" a puzzled neighbor asked. The thief ended up having Bermudez lie on the floor of his garage and then pulled off Bermudez's pants himself. "He was shaking the pants, like ... out of it and there was nothing." He did make off with Bermudez's wallet, all of his IDs and about $400 cash before fleeing to a waiting getaway car – a silver Nissan Altima, similar to one police say two similar-looking robbers used last week. Police said both their investigations are still active and it is unknown at this time if the robberies are connected. Once the thief drove away, Bermudez jumped in his truck and gave chase. The robbers got about half a mile away, before Bermudez crashed into them, forcing them through a neighbor's fence. The suspects bailed out and ran away, but police impounded their car. Bermudez is hoping they can use the plates to track down the men. "Sometimes all the hard work you do, and in one moment, gone," he said.